If the dates you are looking for are not available in Parkview South, please visit Parkview North and Parkview West on the Stayz web-site. 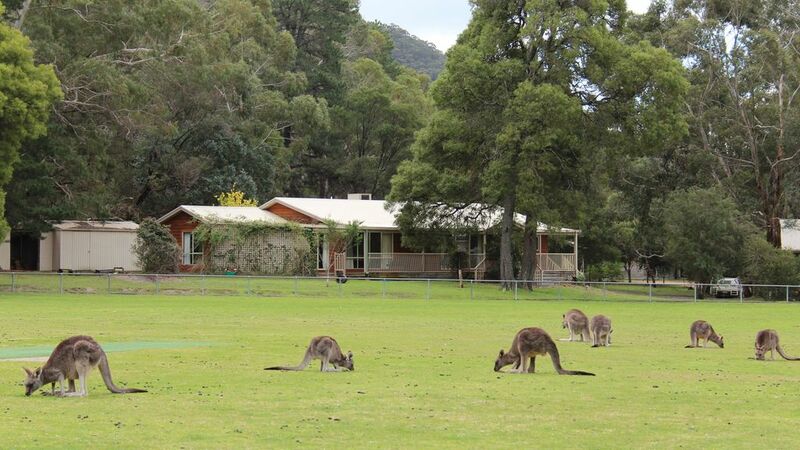 Experience the magic of staying at Parkview South where the Grampians National Park is literally on the back door step. With native Australian wildlife and flora surrounding ParkView at every angle, you will relax in complete comfort in quiet surrounds. Parkview South has been built with large family groups in mind (sleeps 13) and features two huge living rooms, 5 bedrooms and plenty of bathroom facilities. Fully equipped kitchen and laundry, all you need to bring is your food. A billiard table along with 2 TV's and 2 DVD players. Adjoining is the Halls Gap sports oval with plenty of room for the children to play in supervised safety and with no through traffic. The shops and Halls Gap swimming pool are a 5 minute walk from the houses - perfect for the summer holiday. Please note a minimum 2 night booking applies. Stay for a week and get the 7th night free! Thankyou for a sensational holiday. Awesome family home and luxurious living area. After staying the other house the last 2 years, we really cannot compare and love them both. Thankyou so much for having the warm fire lit on our arrival. Thanks heaps - Harrington, Mahony and Brody families, Koroit. What a fabulous house...THANK YOU!!! We all had a wonderful time, it was a great setup for 3 families - amazing location, very clean, very well equipped kitchen (& 2 fridges luckily), plenty of firewood & the pool table was a hit. We hardly had to mover.